Youlu Yuan has completed his PhD at the age of 33 years from Nanjing Agricultural University,China. He is the director of biotechnology research Department of Institute of CAAS. His studies are related to cotton hybrid vigor and molecular marker assisted selection about fiber quality, focus on cotton variety molecular design. Dr. Charles Powell is an Emeritus Professor at the UF/IFAS Indian River Research and Education Center. Retiring in 2016, Dr. Powell maintains a presence at IRREC with his research interests. Upon his retirement, he had served as a research professor, and as an associate director. Current research is focused on control of HLB, or citrus greening. Recent research has involved work with efficacy and infertility of Madeira mealybug on plants prepared for shipping. Honored Scientist of RF, Member-correspondent of Academy of Natural Science of Russia.Education in Chemistry: Ural State, Dr.'s Degree in Chemistry in Ural State University, Dr. Sc. Degree in Chemistry in Moscow State University, Professor in Chemistry. From 1968 till now she works for Ural State Economic University in Yekaterinburg (RF). Greeson has traveled extensively internationally, exploring remote regions, collecting specimens and teaming with researchers in efforts to discover novel compounds. Specimen collections have come from some of the most bio-diverse regions of Planet Earth and from areas which often have no documentation of the flora or fauna, or the medicinal use of plants.Significant research findings to date have been in the areas of cancer, inflammation and pain, the natural activation of stem cells, skin care and malaria. A graduate of UNC-Chapel Hill, she presently serves as an Alumni Board Member of the UNCCH Eshelman School of Pharmacy. As an integrative pharmacist, Greeson's work in remote bio diverse countries with indigenous people, searching for novel medical treatments, has attracted interviews with NPR on several occasions, Australian Public Radio, and numerous articles and other press. Her book, And The Silent Spoke, will be released in 2018, while Expedition Congo, a documentary based on the 2016 expedition to the Congo, is slated to debut in early 2018. Elena Ermilova is a full professor and head of laboratory at Saint-Petersburg State University. She has her expertise in nitrogen metabolism and PII signal transduction in green and red algae, and land plants. Prof. E. Ermilova also has extensively studied the unicellular green alga Chlamydomonas reinhardtii and identified new functions associated with stress acclimation. She also studies the regulation of sulfur metabolism. His main research interest is the development and application of interactomics technology in Plant Research to study the regulation of plant growth at the molecular and biochemical level. De Jaeger’s research team obtained high international visibility with their state of the art AP-MS platform that maps protein interaction networks in plants. In the passed 5 years this technology generated data for 42 TIER 25% manuscripts, holding 12 TIER 1%, and 33 TIER 5% manuscripts. He currently authored 82 A1 publications with more than 3200 life time citations, a H-index of 33, and he holds 7 patents. Synan AbuQamar completed his Ph.D from Purdue University/Department of Botany & Plant Pathology in 2007 and his postdoctoral studies from the same university in the area of Molecular Genetics of Plant Immunity. In August 2008, Dr. AbuQamar joined the Department of Biology at the United Arab Emirates University as an Assistant Professor. Currently, he is an Associate Professor. Dr. AbuQamar's current research interest is in the area of Plant Molecular Genetics/Plant Biotechnology. He has co-authored a number of publications in peer-reviewed international journals and serves as an editorial board member in reputed journals. Kiran	Mysore	is	a	Professor	at	the	Plant	Biology	Division	at	the	Samuel	Roberts	Noble	Foundation. He	also	holds	Adjunct	Professorship	at	Oklahoma	State	University. He	received	his	Bachelor’s	at	University	of	Agricultural	Sciences,	Bangalore	(India),	Master’s	at	Clemson	University	and	Ph. D.	at	Purdue	University	in	1999. He	did	his	postdoctoral	training	at	Boyce	Thompson	Institute	for	Plant	Research,	Cornell	University. His	research	interests	center	on	molecular	plant-microbe	interactions. He	has	published	over	100	papers	on	this	and	related	topics	in	international	journals. Arie Altman received his PhD from the Hebrew University of Jerusalem, Faculty of Agriculture and is Professor of Horticulture and Plant Biotechnology (Ret. ), Founding Director of Robert H. Smith Institute of Plant Sciences and Genetics in Agriculture. 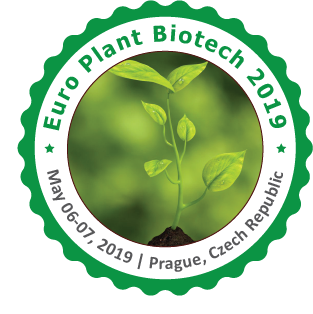 He was President of the International Association of Plant Biotechnology, former Director of the Otto Warburg Center of Biotechnology in Agriculture, member of Israel National Committee for Biotechnology and Committee for Transgenic Plants. His research interests include molecular control of plant response to drought and salinity, agricultural biotechnology, forest tree biotechnology and plant tissue culture. He published over 180 research publications and served as Editor of 5 biotechnology books. He is (past and present) Editor and Editorial Board member of Plant Physiology, Annual Review of Plant Biotechnology and Applied Genetics, In Vitro Cellular & Developmental Biology-Plant, Plant Cell Reports, and others. Prof Altman was Invited Professor and Scientist at: Amsterdam Free University, INRA Versailles and Université Pierre et Marie Curie, Paris and Orsay, Scripps Research Institute, La Jolla, Roche Institute of Molecular Biology, N.J., USA, Department of Biology, Yale University, New Haven, Botany Dept., University College of Wales, Aberystwyth, UK, and others. Michael Orzolekis is Professor Emeritus of Vegetable Crops department of Pennsylvania State University, US. He was the Program Leader of Integrated Crop Management Systems for Vegetables and Berries. Environmental modification - Use of High Tunnels, plastic mulches, row covers and drip irrigation on the growth and yield of vegetable/horticultural crops. Culture and Management - Effects of cultural techniques and management systems on growth, development and yield of vegetable crops. Specialty crop and germplasm evaluation related to production, marketing and utilization. Desh Pal S. Verma is a full professor at the Ohio State University, USA. He obtained his B.Sc. degree in biology and chemistry, and M.Sc. degree in botany from Agra University, India, and his Ph.D. degree in plant physiology and biochemistry from the University of Western Ontario, Canada. He is a Fellow of the Royal Society of Canada and a Fellow of the Third World Academy of Sciences, Italy. His pioneering research work includes the identification and characterization of nudulins and phragmoplastin, and genes responsible for proline and callose biosynthesis in plants. He has served on the editorial boards for several international journals, edited eleven scholarly books, and published over 160 original research papers. Dr. Nirmal Joshee is an Associate Professor of Plant Science in the College of Agriculture, Family Sciences and Technology at the Fort Valley State University (FVSU, Fort Valley, GA). Currently, he is serving as the Coordinator, Graduate Program in Biotechnology. Dr Joshee earned his Ph.D. in the year 1987 from North Eastern Hill University, Shillong, India on the reproductive biology of glycoalkaloid yielding solanums. He has conducted post-doctoral research work in Japan (Biotechnology Institute, Akita) on ‘Molecular Biology of Water Stress Induced Genes in Rice’ and the USA (University of Nebraska Medical Ctr., Omaha, NE) on ‘Human Gene Therapy’ before joining Fort Valley State University in 2001. Dr. Joshee is one of the founding members of American Council of Medicinally Active Plants, a society of professionals dedicated to the medicinal plant research. Dr. Joshee has been actively involved in research for the past twenty five years in the field of plant tissue culture and conservation, validation of medicinal plants used in traditional medical systems, molecular biology of stress induced genes in plants, gene transfer strategies for plant transformation, and sustainable use of fast growing tree Paulownia for Bioenergy. Graduate students conduct their thesis research on antitumor medicinal plant Scutellaria and lignocellulosic bioenergy crop Paulownia in my lab. Ongoing Research Grants: 1. 2013-2016. Capacity building USDA NIFA. Title: Developing a sustainable bioenergy system: Paulownia production for fuel, chemicals, and materials. P.I. : Nirmal Joshee 2. 2011-2014. Capacity building USDA NIFA. Title: Germplasm conservation, Anti-adipocytic and anticancer activity and metabolic engineering in the genus Scutellaria. P.I. : Nirmal Joshee As Co- Investigator: 3. ($143,000) J. H. Lee, T. H. Terrill, N. Joshee. 2013. Strengthening instrumental analytical techniques of undergraduate and graduate students in food and agricultural sciences. USDA/NIFA-1890 CBG. Meira Ziv is a Professor in the Robert H Smith Institute of Plant Science and Genetics at the Hebrew University of Jerusalem (Israel). Her research interests are in the physiology and morphogenesis of plant organogenesis and somatic embryogenesis in large scale liquid cultures; shoot-malformation, hyperhydricity and the role of oxidative stress in the control of plant development in bioreactor cultures for efficient acclimatization and survival ex vitro; bulb and corm development in geophytes cultured in liquid cultures in relation to carbohydrate metabolism. Plant morphology and physiology in tissue culture plants. Biotechnology aspects of various plants propagated in large scale pre-sterilized disposable bioreactors and their in vitro acclimatization. Physiological aspects of bud and root regeneration, control of hyper-hydricity and malformation in plants regenerated liquid cultures. Enhanced hardening in vitro, using growth retardants and silicon Developmental physiology of corms, tubers and bulbs storage organs produced in vitro. Dr. Rubin is the Rachel and Jacob Liss Emeritus Professor of Agronomy and Weed Science at the Hebrew University of Jerusalem, Israel. His areas of research include biochemical pathways, herbicide resistance, and weed management. Dr. Rubin is very active in service to international academic and research institutions and is a member of several International Weed Society organizations including the Israel, European, Japan, and American societies. His research has led to being awarded three patents for herbicide activity and formulations development. Physiological and biochemical mechanisms of herbicide action in crops and weeds. Herbicide resistance in weeds, mechanisms and environmental implications. Safe use of herbicide- resistant transgenic crops. Fate and behavior of herbicides in agro-ecosystem. Environmentally safe and new herbicide formulations. Weed biology and ecology. Weed management and control in major crops. Dr. Ilan Sela is a Co-Founder of Beeologics, LLC and serves as its Chief Scientist. Dr. Sela has over 15 years of experience in Fiber Optics. He contributes more than five decades of accumulated knowledge in virology, plant and insect pathology and RNAi technologies to specifically address the long-term well being of the bees. He served as the Chief Executive Officer and Chief Technology Officer of Optichrom, which he Co-Founded. He served as the Chief Executive Officer of PetroMetrix, a manufacturer of analyzers for the petro-chemical industry, which was founded by him in 1992. From 1989 to 1992, he worked as a Researcher with the Los Alamos National Laboratories in Los Alamos, New Mexico, working in the Electronic Research Group on novel materials for IR detectors and Optical Switching. He is world renowned for his innovative work in virology and is credited with identifying, sequencing and naming the Israel Acute Paralysis Virus (IAPV) in 2002. As a Professor Emeritus of Virology and Molecular Biology at the Hebrew University in Jerusalem, he sits on the Faculty of Agriculture at the Robert H. Smith Institute of Plant Sciences and Genetics (Virus Laboratory), and teaches undergraduate and graduate courses in Molecular Biology, Virology and Genetic Engineering. His current research is focused on bee viruses including Colony Collapse Disorder (CCD), the expression and silencing vectors for plants, and the integration of viral sequences into host genomes. Over the course of his career, he has authored more than 100 papers that have appeared in reviewed scientific journals. He has also supervised 106 graduate students theses. He is the author of over 30 publications in the field of Applied Spectroscopy. Dr. Sela earned his Ph.D. in Biochemistry and Virology from the Hebrew University of Jerusalem. A universal platform (IL-60) for expression and silencing in plants. The use of the IL60 platform for protecting plants from viruses, bacteria (including phytoplasmas) and fungi. Innate immunity in plants. RNA silencing of plant and viral gene expression. Integration of viral RNA sequences into host genomes. Bee viruses. Exchange of genetic information between Israeli Acute Paralysis Virus (IAPV) and the bee genome and its relation to Colony Collapse Disorder (CCD). RNA silencing in bees as a tool to control IAPV (and CCD), and bee parasites (Varroa, Nosema). 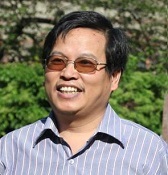 Tianzhen Zhang, Professor of Genetics and Crop Breeding in Nanjing Agricultural University. He has completed his PhD at the age of 29 years from Nanjing Agricultural University and postdoctoral studies from Ruhr University at Bochum in Germany under the Marie-Curie Fellowship for Post-Doctoral Research. He is the directors of Cotton Hybrid R & D Engineering Center (the Ministry of Education) and Cotton Research Institute in NAU. He has published more than 150 papers in cotton genetics, genomics and molecular breeding in peer-reviewing reputed journals and co-authored 8 books, and has been serving as the Co-chair from 2011-2013 and Chair of Int Cotton Genome Initiate from 2013-2015, Int. Organizing Committee member for ICGI Research conference and editorial board member of PLoS ONE. Network Biology; Biomathematics; Computational Science; Modelling; Ecology; Environmental Sciences; Agricultural Sciences. Dr. Russel J. Reiter, Ph.D., is Professor in the Department of Cellular and Structure Biology at the University of Texas Health Science Center, San Antonio, Texas, USA, Dr. Reiter has received three honorary M.D. degrees and one honorary D.Sc. degree. He has received numerous awards for his research including the A. Ross McIntyre Gold Metal (USA), the US Senior Scientist Award (Germany), Lizoni Lincee Award (Italy), the Inaugural Aaron B. Lerner Pioneer Award (FASEB, USA), etc. His scientific publications have been cited in the scientific literature more than 83,000 times; his h-index is 140. Thomson’s Institute lists Dr. Reiter as one of the World’s Most Influential Scientific Minds-2014 and he is listed in the top 100 scientists in the world in terms of frequency of citation in the fields of Cell Biology and Biochemistry. He is the Editor-in-Chief of the Journal of Pineal Research (2013 impact factor = 7.81) and is or has been on the Editorial/Advisory Board of 26 other journals. Dr. Eloy Rodiguez is the James A. Perkins endowed chair in Environmental Studies and Chemical Biology at Cornell University in New York. He has published over 170 research articles on the chemistry, evolutionary biology and ecology of secondary metabolites and their medicinal and agricultural uses. He is a AAAS fellow, founding member of SACNAS and has lectured throughout the US, Europe, China and South America on the chemistry, physiological role and medicinal use of plant secondary metabolites. Dr. Rodriguez' research has been funded by NSF, NIH and private institutions. Nigel G. Halford obtained first degree in Genetics from the University of Liverpool in 1983 and a Masters degree in Applied Molecular Biology and Biotechnology from University College London in 1984. I studied the genes encoding a family of wheat seed proteins called the high molecular weight subunits of glutenin for my PhD while at Rothamsted in the 1980s, then spent 11 years at Long Ashton Research Station near Bristol before returning to Rothamsted in 2002. I am a Visiting Professor at Shanghai Academy of Agricultural Sciences and was awarded The Magnolia Silver Award by the Shanghai Municipal People’s Government in 2012. I am also Special Professor at the University of Nottingham, Council Member and Programme Secretary for the Association of Applied Biologists, Fellow of the Society of Biology and former member of the UK’s Advisory Committee for Animal Feedingstuffs (ACAF). NASIR S. A. MALIK has 40 years of agricultural research experience, including 16 years in an industrial environment. He has written over 50 research articles, one patent, (publication list attached), numerous industrial reports, pesticide registration reports for EPA, intellectual property disclosures, and attracted $2 million in extramural funding from industrial clients and over $700K in competitive research grants as PI &Co-PI. He received numerous invitations for seminars, writing reviews, chapters to edit books. Dr. Rajasekaran is a senior Research Biologist with the USDA-ARS. He obtained his B.S and M.S. from Tamil Nadu Agricultural University, India. After receiving his Ph.D. from The University of Sydney, Dr. Rajasekaran has continuously worked on the application of recombinant DNA technology towards genetic improvement of food, feed and fiber crops. He has published 135 full length publications plus 12 U.S. patents, >50 international patents, and 168 national/international conference abstracts. He serves as an Adjunct Professor in five universities. Currently his research focus at USDA-ARS is on effective control or elimination of preharvest aflatoxin contamination caused by Aspergillus spp through biotechnological means in cotton and maize . Prof. Ilan Chet completed his Ph.D. in microbiology at the Faculty of Agriculture of the Hebrew University of Jerusalem. He has published more than 390 articles, edited five books and holds 38 patents. Prof. Chet served as Dean of the Faculty of Agriculture and Vice President of the Hebrew University and was President of the Weizmann Institute of Science. He was visiting professor at Harvard, Colorado State, Cornell and Rutgers Universities. Prof. Chet was awarded with the Max-Planck, the Israel Prize, the Wolf Prize and more. He is nowadays Deputy Secretary General of the Secretariat of the Union for the Mediterranean. Gunnar Wingsle has completed his PhD at the age of 34 years from Department of Forest Genetics & Plant Physiology. He has published more than 60 papers in reputed journals and has been serving as a PI of the proteomic masspectrometry facility at Chemical Biological Centre at Umeå University and SLU since 2000. Igor G. Loskutov has completed his PhD (Plant Breeding) at the age of 29 years from N.I. Vavilov Institute of Plant Industry, St-Petersburg (Russia) and in 2003 his dissertation of Doctor of Science (D. Sc., Botany and Plant Breeding) from the N.I. Vavilov Institute of Plant Genetic Resources (VIR). Now he is the head of department of Plant Genetic Resources Oat, Barley, Rye (VIR) and full professor of Biology Faculty of St-Petersburg State University. He has published more than 140 papers in reputed journals and has been serving as an editorial board member of journals Genetic Resources and Crop Evolution since 2008, Advances in Plant Sciences Research since 2013. Dr Milan S. Stankovic has received his PhD in University of Kragujevac, Faculty of Science, Republic of Serbia during the period of 2007-2012. Currently, he is working as assistant professor an the same University. His research has included Plant biology and ecology. He is serving as an editorial member of several reputed journals like Plants, Advanced Crop Science, Research in Plant Science. He has authored 45 scientific papers published in international journals, 8 scientific papers published in national journals, 36 International conference proceedings and 46 national conference proceedings.